Rappers AKA and Riky Rick emerged as the top winners at the South African Hip Hop Awards which took place on Wednesday evening at Gold Reef City, south of Johannesburg. AKA picked up awards for best collaboration, best video, most valuable, best digital sales and received a milestone award. 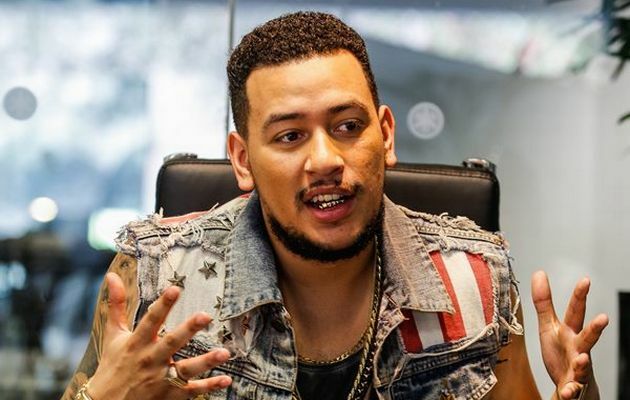 AKA has won the most valuable award three years in a row. Riky Rick took home album of the year and best male for his debut offering, Family Values. The awards were not without drama as Anatii received the awards that he should have shared with AKA for their track The Saga. The two had a fall out when AKA dissed Anatii in his song Composure, saying he was the reason the track did well. At the awards, Anatii performed the remix of The Saga with AKA’s rival, Cassper Nyovest.